Providence Rd. South from Uptown Charlotte. Cross over Rt. 51 (Pineville-Matthews Rd.) at The Arboretum. Continue 1.5 miles to left on Lakeside Dr. Kristen Lake will be on the left. From I-485 Outer-Loop. Take exit 57 (Providence Rd.) Left at the light onto Providence Road North. Travel 1 mile to right onto Lakeside Drive. Kristen Lake will be on the left. Open Monday - Saturday 11am-5pm & Sunday 1pm-5pm or by appointment. Take a TOUR click here! 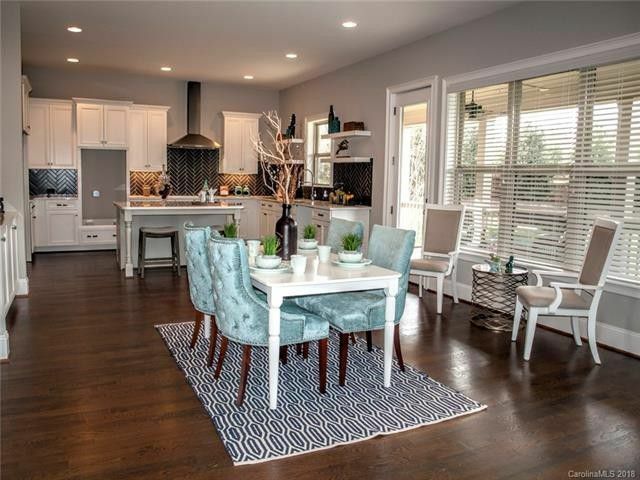 Stop by to tour our move-in ready home that is staged! Kristen Lake, Peachtree Residential’s South Charlotte neighborhood represents the latest thinking in both community design and architecture for this infill location. The 4.2 acre site is master planned for an enclave of 9 detached single family residential homes. The homes are meticulously designed to reflect the rich architectural details reminiscent of the Georgian style. The homes range in square footage from 3,200 to almost 5,000 square feet. Many of the homesites feature exceptional water views of pristine Kristen Lake located immediately adjacent the property. The neighborhood offers both basement and crawl space homesites. The lake front basement sites allow for optional additional finished spaces for a true lake orientation. 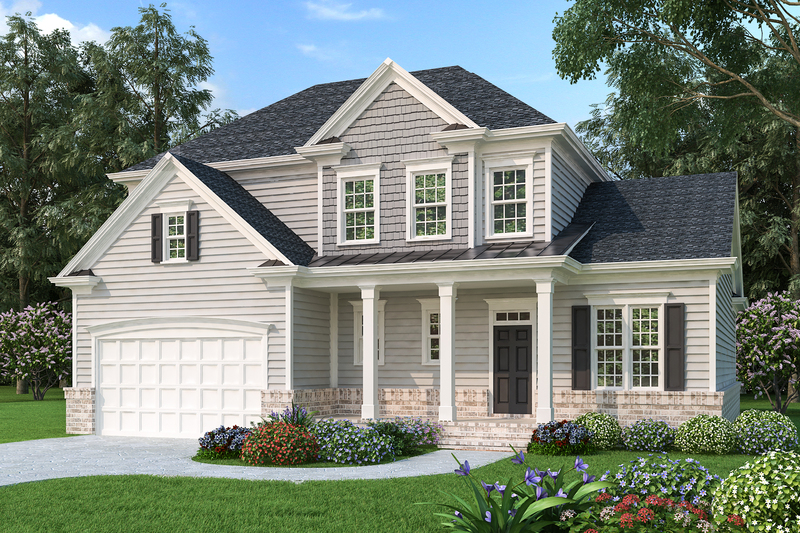 Homes are designed with front and side entry garages, many with 3-car. 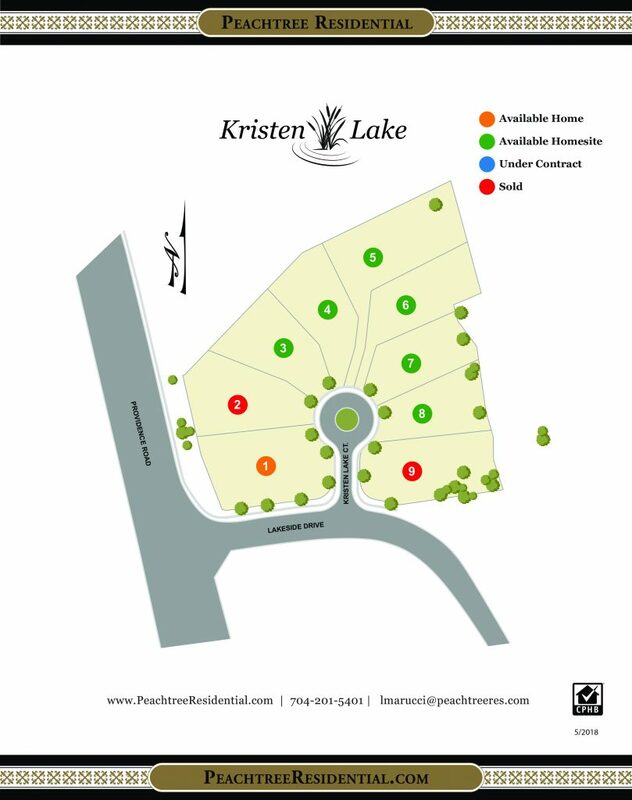 There is an emphasis on pedestrian scale at Kristen Lake including a feature in the center cul-de-sac and a decorative brick sidewalk system throughout the neighborhood. The walkable design includes themed home elevations, gas lanterns, brick pavers, porches, trellises, brick walls, and exquisite landscaping. $20,000 in Design Center Upgrades on pre-sales.